Well, we made it through another year. I hope you had a wonderful Christmas with your family and friends. All that food. Did you eat too much, like me? David and I had a quiet day Christmas, just the two of us. Actually, our daughter Bernadette, her husband Dave and daughter Brittany were supposed to come over. Around 10am Bernadette called and said she was lying on a hot water bottle in agony with her back. It has been giving her trouble lately. We were disappointed, especially at not being with our granddaughter. Then I remembered two weeks ago when we took Brittany to the mall. It was full of people, Christmas decorations were everywhere, lots of kids were in the play area and she had so much fun. 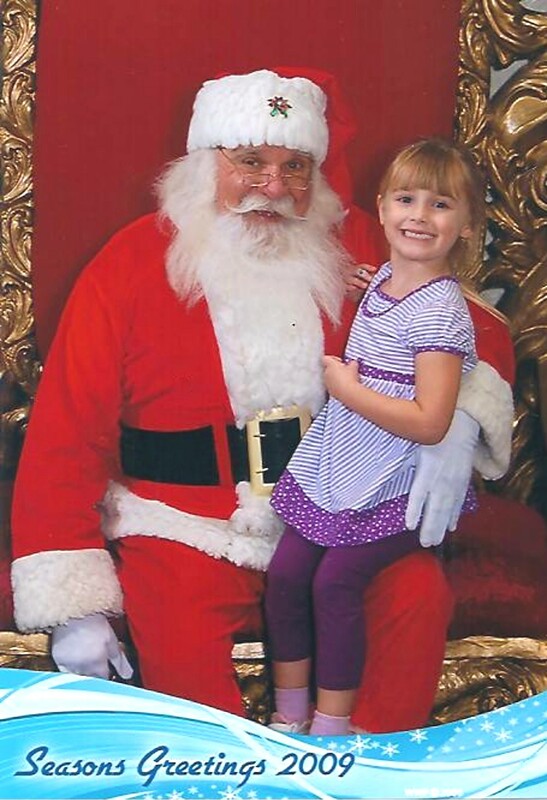 Most of all, for the first time Brittany was not afraid of Santa; she actually wanted to sit on his lap. She told me that she liked him. It’s probably ’cause she’s five now. Something else happened that day. We were strolling past a store window that had all these unusual beautiful treasures, only it was the Southern Bell, glowing like a star that was stealing all the attention. Now, I’m not a doll person but I was so taken with her that my husband snuck back the next day and bought her for me. 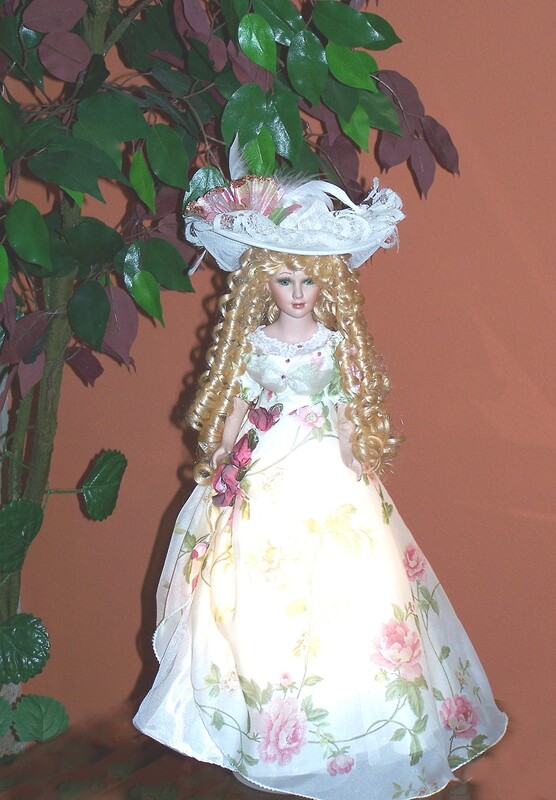 Her name is Natalie; she’s an authentic Heirloom Edition of the Golden Keepsake dolls. When the Christmas decorations come down, she will have a special place on the mantel. Do you have a Christmas story? This entry was posted in holidays and tagged Christmas disappointments. Bookmark the permalink.